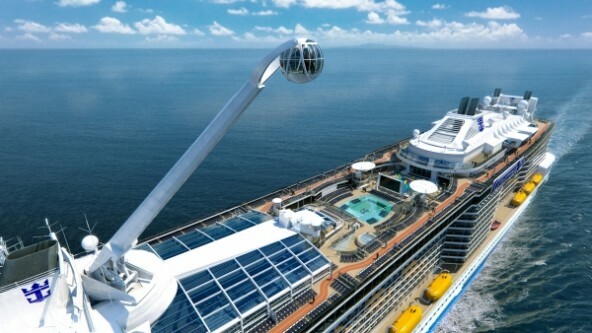 Royal Caribbean released details last month of their new ‘super’ ship Quantum of the Seas, which will arrive in the autumn of 2014 and be followed in 2015 by sister ship, Anthem of the Seas. The cruise line promised innovations never before seen on a cruise ship and judging by what we now know I think it’s fair to say they have well and truly succeeded in creating something unique! This could well be the ship of all ships when it comes to on board fun and facilities. 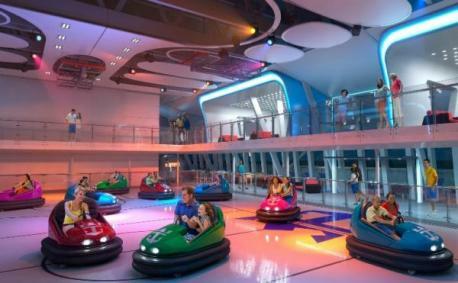 SeaPlex, the largest indoor active space at sea, will be a sporting and entertainment venue with an arena that will accommodate bumper cars and roller skating of an evening and a circus school with flying trapeze through the day. Basketball and Volleyball are also daytime options. Personally I love the bumper car idea. It has always been a favourite of mine when the fairground is in town so to see this on a ship, I can only imagine! Usually I am the first to moan about over the top features like this but maybe I am going soft in my old age because I genuinely like this one! North Star will take guests to new heights, literally. A jewel shaped glass capsule will send guests more than 300 feet above the ocean and over the side of the ship to deliver stunning views. It looks pretty good in the pictures but will it live up to expectations? If anything it will definitely allow for some superb photo opportunities, but I wonder if the queue to try it will be as long as the ship. RipCord by iFly will be the first skydiving experience at sea. It will allow passengers to enjoy the thrill and exhilaration of skydiving in a safe, controlled, simulated environment. A huge structure placed at the aft end of the ship houses the complex where guests will be able to free fall, held aloft by a blowing cushion of air. Guests will still find their old favourites on board like the rock climbing wall and the FlowRider. An adults-only Solarium, along with an outdoor pool, a new indoor pool with sliding domed roof and a H2O Zone kids’ aqua park. The ship will also provide the most flexible dining options and more specialty restaurants than ever before. “This new generation of ships gave us an opportunity to make another leap in vessel design. 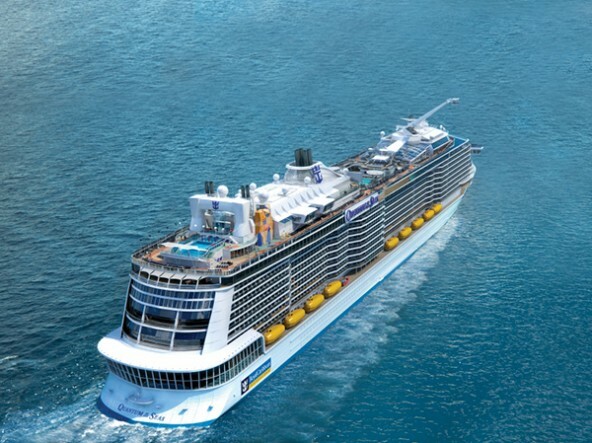 Innovation has always been part of our DNA and we have taken advantage of all that creativity to design Quantum cruising,” stated Richard D. Fain, chairman & CEO, Royal Caribbean Cruises, Ltd.
Quantum of the Seas will weigh in at 167,800 GT and have space on board for 4,180 passengers. 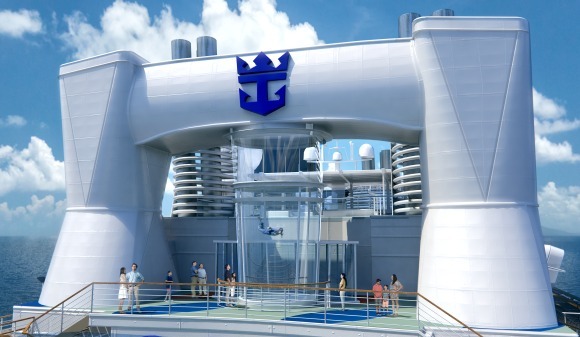 Her staterooms will be nine percent bigger than those on board Oasis and Allure of the Seas. It is said that even inside cabins will have some glimpse into the outside world as virtual balconies are introduced. Solo passengers can take advantage of studio staterooms and three junior suite categories.